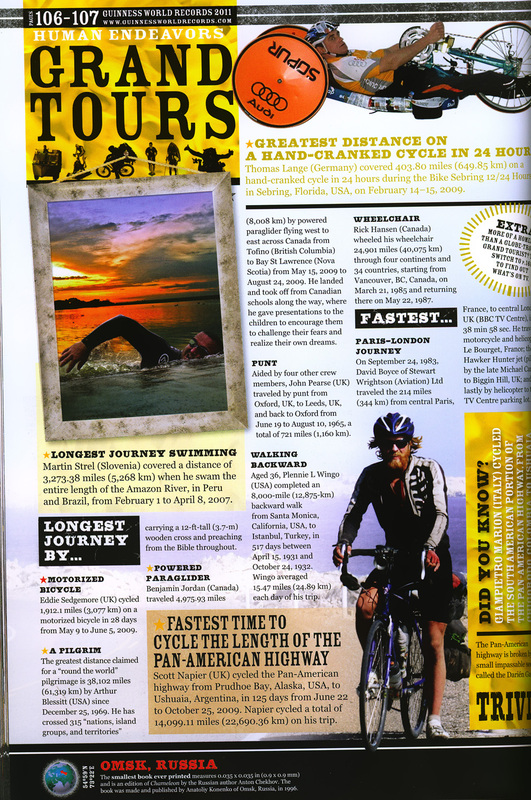 amazonswim.com - Martin appears in the Guinness Book of World Records 2011 with a picture! DURING FEB 1 - APR 08, 2007 MARTIN STREL SWAM 5,268 KMS (3274 MILES) OF THE AMAZON RIVER! HE DEDICATED THE SWIM TO THE PROTECTION OF THE RAINFOREST. Martin appears in the Guinness Book of World Records 2011 with a picture! Martin has been appearing in several editions of GBWR since year of 2003 with his previous swims. Here is the latest edition with the PHOTO above the tetx! Page number 106, section Human Endeavors, Grand Tours. Amazon river "longer than Nile"